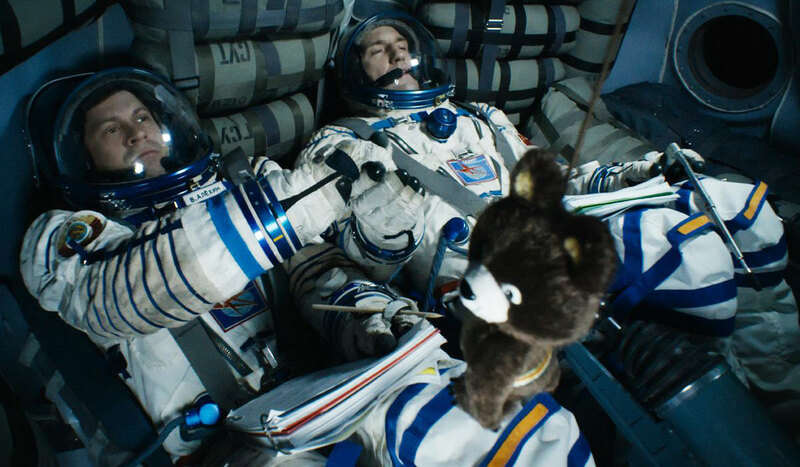 This space rescue movie offers gripping suspense…and insight into Russian geopolitics. A damaged spacecraft with valiant crew. A grizzled mission control director. Families waiting nervously Earthside. Sound familiar? No, I’m not talking about Apollo 13. Rather, I’m describing Salyut 7, a gripping Russian movie that reinterprets a real 1985 incident for contemporary tastes. In February 1985, the Soviet Union’s Salyut 7 space station unexpectedly lost power, rendering it useless. To avoid the station’s loss and damage to national prestige, the USSR sent two cosmonauts, Vladimir Dzhanibekov and Viktor Savinykh, to resurrect Salyut 7 in June 1985. After performing a highly challenging manual docking maneuver, the two had to contend with freezing cabin temperatures and dwindling water supplies while nursing Salyut 7 back to life. The film Salyut 7 draws heavily from this incident, but applies significant dramatic license. The movie’s protagonists are Vladimir Fyodorov and Viktor Alyokhin — who share the same first names as the pair who rescued Salyut 7 in real life, but intentionally aren’t portrayed as the same people. In Salyut 7, Vladimir and Viktor are perfect foils. The former is a swashbuckling pilot, while the latter is a fastidious engineer. 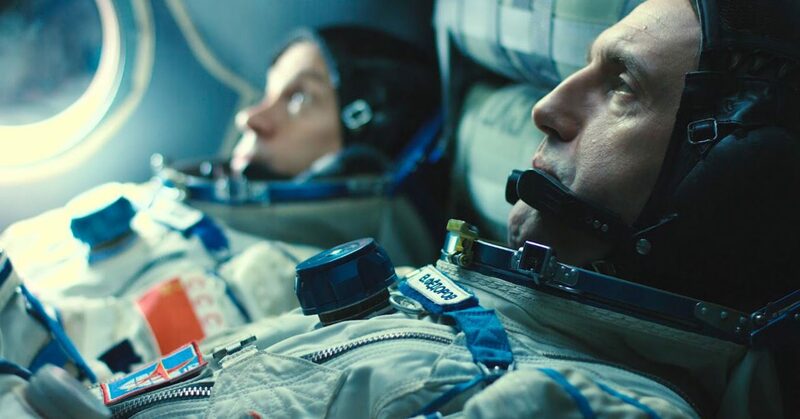 This strengthens the film’s narrative, though some of the most cinematically tense moments— like when Vladimir ribs Viktor for “not a cosmonaut, just an engineer in a spacesuit”—would likely never have occurred between real cosmonauts (who all received some degree of flight training). What’s more is how Salyut 7 reimagines the original 1985 incident through the lens of contemporary political anxieties. The film raises the stakes of Vladimir and Viktor’s mission by showing how the Americans are launching space shuttle Challenger with an empty cargo bay in an attempt to steal the stricken space station and its sensitive technologies. Our cosmonauts receive word that if they fail to revive Salyut 7, the USSR will shoot the station down to prevent it from falling into American hands. This all makes for a more entertaining movie, but isn’t true to real events. The US never tried to steal Salyut 7 back in 1985, and Challenger never launched in June 1985 concurrently with the Soviet rescue mission, like the film depicts. Given increasing tensions between the US and Russia lately, it’s not surprising Salyut 7 resorted to America-bashing to score some easy dramatic points. Just like how Apollo 13 celebrates American ingenuity, and the more recent Neil Armstrong biopic The First Man got into hot water for not being patriotic enough, it’s hard to separate space dramas from politics given the Cold War competition that influenced the events depicted in all these movies. In today’s Russia, nostalgia for the Soviet Union is on the rise. Vladimir Putin himself famously called the Soviet Union’s collapse “the greatest geopolitical catastrophe of the century”, and most Russians seemingly agree. Soviet nostalgia isn’t necessarily ideological. Rather, it’s borne out of a more visceral desire for pride, purpose, and security. The USSR was one of the world’s indisputable superpowers, with immense international prestige; its space program was a shining symbol of what the union stood for at its best. By casting America as a bogeyman and implicitly catering to this Soviet nostalgia, Salyut 7 simply piggybacks on Russia’s current efforts to reassert itself as one of the world’s great powers. This geopolitical current also shapes many of Salyut 7’s minor details, which make it all the more interesting to watch. At multiple points in the movie, Vladimir and Viktor poke fun at Soviet leader Mikhail Gorbachev through his anti-alcohol policies. Though lauded in the West for bringing down the Iron Curtain, Gorbachev is increasingly reviled back in Russia, especially amongst those who agree with Putin’s assessment that the Soviet Union’s collapse was a disaster. While Salyut 7‘s plot doesn’t faithfully follow real events, fans have lauded many aspects of its costumes and set design for their accuracy. From the intricate details of the protagonists’ Soyuz space capsule to their jumpsuits and 1980 Moscow Olympics mascot plush toy, Salyut 7 apparently took great care in crafting an authentic image of an ideal Soviet past. 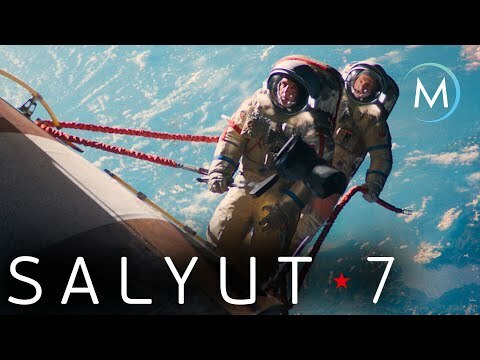 While Salyut 7 is a captivating movie with great production quality that’s well worth a watch for purely entertainment value, all this geopolitical posturing evokes a sense of combined sadness and irony. With examples Gravity and The Martian, American space movies are starting to depict more instances of international (primarily Chinese) collaboration rather than competition. This is the opposite of Salyut 7, though admittedly Russian moviemakers probably aren’t as desperate for Chinese money as Hollywood execs. Furthermore, despite all the political tensions of late, space remains one of the few areas where the US and Russia still work closely together. As of press time, American astronauts continue to rely on Russian Soyuz capsules to travel into space. However, as much as the film distribution gods allow it, Salyut 7 can perhaps serve as an unintentional bridge for understanding between Russia and the West. Even if not 100% true to reality, the movie offers an accessible and entertaining look at a space incident that received little coverage in Western media. With high production quality and well-constructed characters, the film feels similar enough to many Hollywood space classics like Apollo 13—but offers a different enough context to open audiences’ minds to the reality that space isn’t just an American frontier. Salyut 7 (Russian: Салют 7)— Russia. Dialog in Russian. Directed by Klim Shipenko. First released October 12, 2017. Running time 2 hr. Starring Vladimir Vdovichenkov, Pavel Derevyanko, and Igor Ugolnikov. Salyut 7 is currently available for streaming on Amazon Prime.